It is never convenient when your vehicle breaks down but it is bound to happen occasionally. It is quite stressful and frustrating to find yourself with a flat tire or locked out of your car. That’s when you need a reliable auto repair shop and towing company to come to rescue you. That company is D & E Service Center! 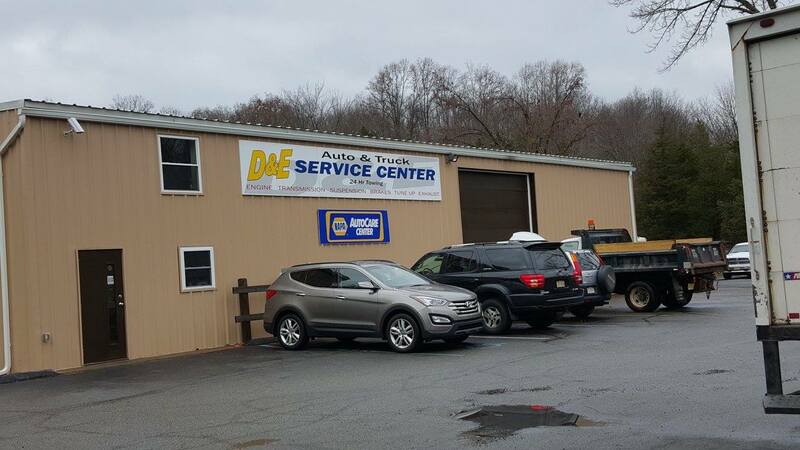 We provide expert auto repair services and prompt roadside assistance and towing to vehicle owners in Sussex, Morris, Warren and Passaic Counties. Our team of highly trained towing and recovery experts is available 7 days a week, 24 hour a day for all your road service, towing and recovery needs. We offer local and long distance towing services for private, commercial and industrial automobiles.